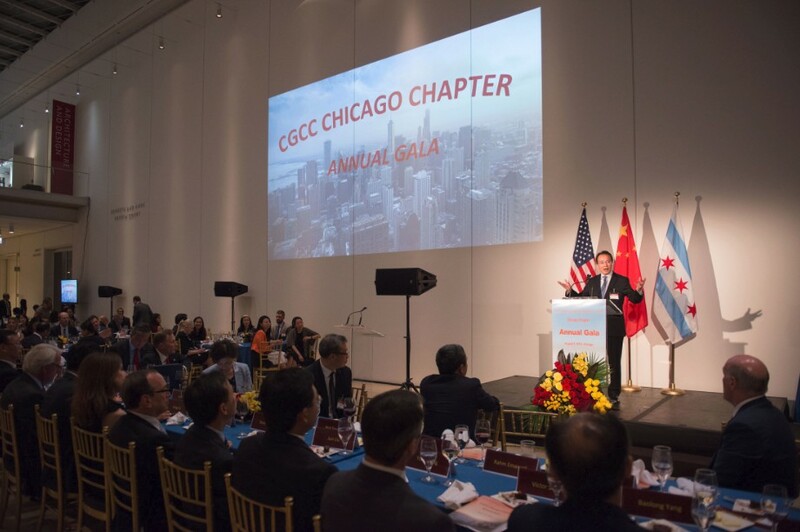 China General Chamber of Commerce-U.S.A. Chicago Chapter held its Annual Gala in The Art Institute of Chicago on the evening of August 3, with nearly 500 attendees. U.S. President Barack Obama sent the Gala a congratulatory letter, in which he said, “The United States and China are the world’s two largest economies, and together, we must find cooperative measures that help promote growth around the globe. Events like this provide a platform for business leaders to unite in a spirit of collaboration to discuss key issues and exchange ideas. These efforts not only open doors of economic opportunity for the peoples of both our countries, but they also remind us that a constructive relationship between the United States and China is important to the entire world”. Chinese Ambassador Cui Tiankai, the Secretary of Commerce Pritzker also sent congratulatory letters. 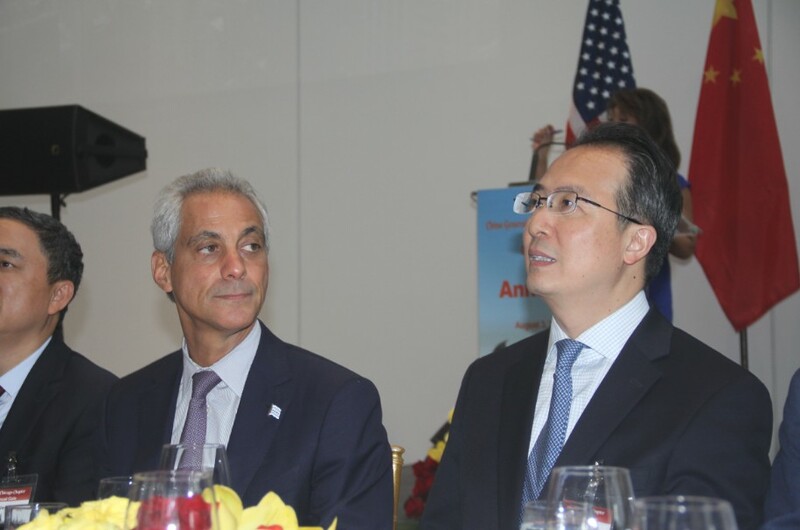 Chicago Mayor Rahm Emanuel, Michigan Governor Rick Snyder, Commercial Minister of Chinese Embassy Zhu Hong, President of CGCC Chicago Chapter Pin Ni delivered speeches respectively at the Gala, which was hosted by Linda Yu, anchor of ABC 7 Chicago. 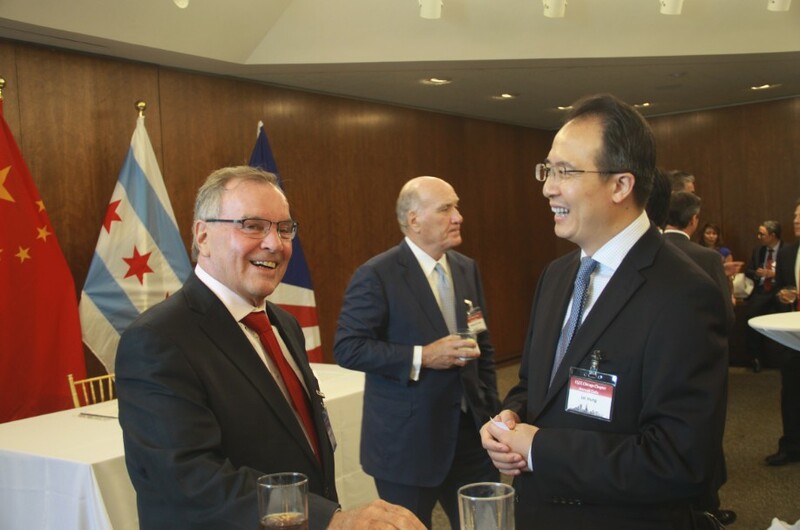 Consul General Hong Lei said in the speech that Chinese Companies investing in the Midwest is entering a new phase of rapid growth. The economic and social effect is emerging, like creating jobs and tax revenue for local economy, especially in the manufacturing sector, as well as contributing more and more to the local community. Consul General Hong Lei said that, at present, China is pushing to deepen reform and open up further. U.S. economy is recovering and the manufacturing sector is reviving. 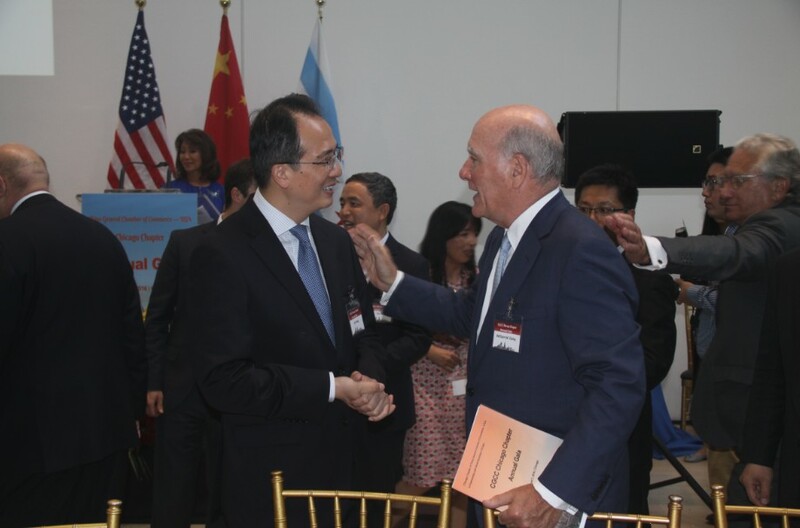 This will drive Chinese companies to allocate more resources to grow business in the US. Economic and trade cooperation has played as bedrock in Sino-American relations. Serving as an essential component, Chinese Companies’ investment will be more significant and more positive in the cooperation between two countries. 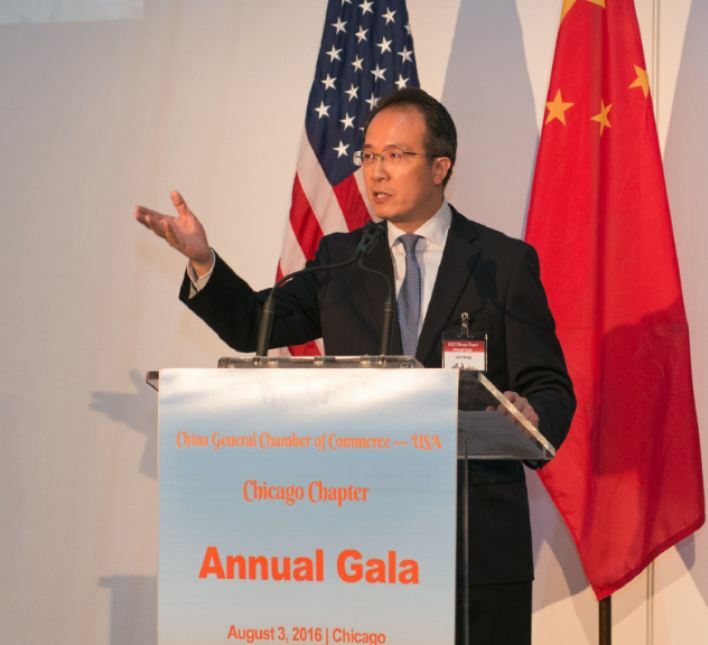 Consul General Hong Lei said, the Gala is held in the famous Magnificent Mile of Chicago. 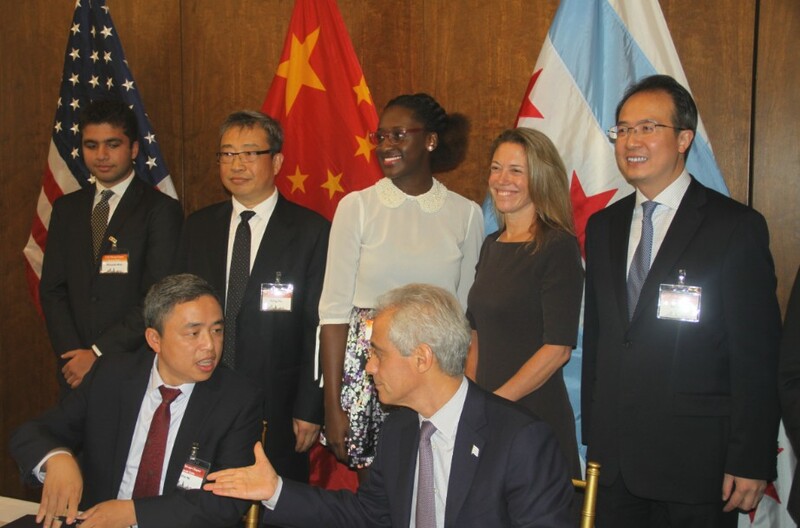 We hope Sino-US investment cooperation in the Midwest will have a more magnificent future. The Awards Ceremony was also held at the Gala. Three companies were honored as The Most Influential Companies: Wanxiang America which sets up factories in five states of the Midwest and creates more than 13,000 jobs, Wanda Group Chicago which is constructing the 3rd highest building as the biggest Chinese real estate investment in Chicago, SAIC USA whose business covers Auto parts purchasing to engineering and technology development. Nanshan America is honored as The Fastest Growing Company, HNA-Chicago as The Best Investor, Bank of China-Chicago, which makes more than 4 billion dollars loan to Chicago communities, as The Top Social Contribution, and Nexteer Automotive, which provides more than 5000 jobs, as The Outstanding Employer. Mead Johnson Nutrition, a US company, was awarded Best Contribution to US-China Business Cooperation. 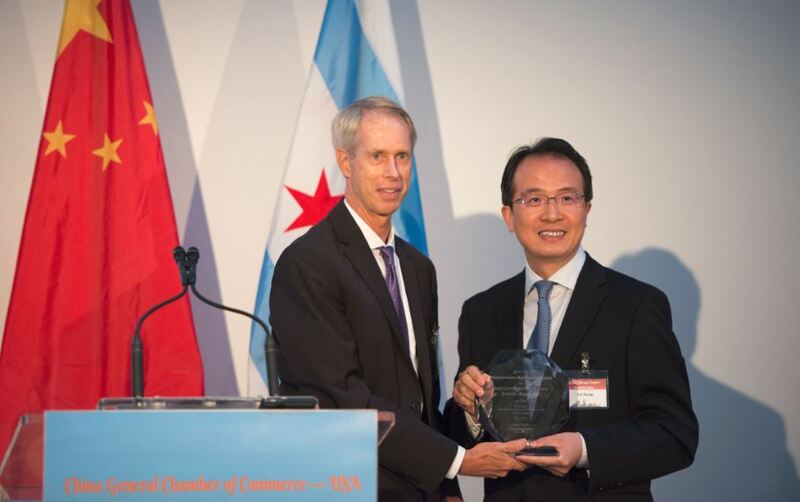 Yang Baolong, President and CEO of Jiusan Oils & Grains Industries Group, won the individual award-Excellence in US-China Business Cooperation, with other 8 recipients.